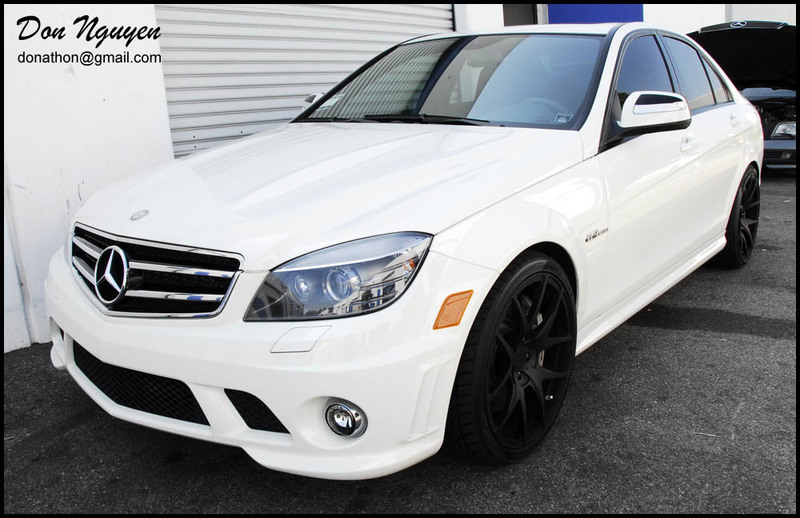 For this white Mercedes C63 AMG W204 sedan, I blacked out the chrome window trim and rear chrome trunk bar on the car with my gloss black vinyl materials. The gloss black really complimented his tinted windows and powder coated black black wheels. The owner of this car was from around San Diego and came up to me in Orange County to have the vinyl work done. The gloss black trim vinyl wrap really gave the car a sportier and more aggressive look, cleaning up the lines of the car by getting rid of the chrome.